Pina comes to Savannah on Sunday « "TeresaBruceBooks"
On my trip to NY this summer to research Byrne Miller’s early life, I had the chance to see the 3D film “Pina” by Wim Wenders. I have never been so stunned by a film, though Wim Wenders’ work often leaves me speechless. Gary made me watch Wings of Desire when we first met, and that confused but delighted me. Then Buena Vista Social Club came along and literally awakened the world’s interest in Cuban music. Lisbon Story made me fall in love with Madredeus – the Portuguese Fada singer. I went from thinking Wenders had a knack for being in the right place at the right time to realizing he was equal to the genius he admired. 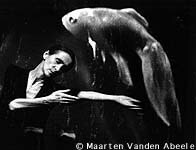 Wenders has said that he waited, almost all his life, to do a film about Pina Bausch, the great German modern dancer. It wasn’t until 3D came about that he realized why he’d waited. Unfortunately she died during the making of his latest masterpiece, but perhaps it freed Wenders to make, at last, a love story. He abandons the tradition of using archival footage as the thread – he stages Pina’s dances in modern-day Germany- in hanging trains and busy intersections, by the sides of swimming pools. He couldn’t afford the rights to the original music of her dances, so he just edits the numbers to a soundtrack that only a director who loves Fado and Tango and Son could imagine. He didn’t dabble in the usual documentary interview process, playing on our sympathies by pointing out all the hardships Pina faced. He didn’t try to draw a picture of the whole woman, her role as a wife or mother or dance pioneer – though she was all three. He let her work speak for all of that. “Pina” has no plot, but it is more riveting than any drama I have ever seen. The 3D effects are cool, but Sunday in Savannah I’ll just as happy to see the choreography the way she did when she created this amazing body of work. I may even sit through all three showings – 2, 5 and 8pm. 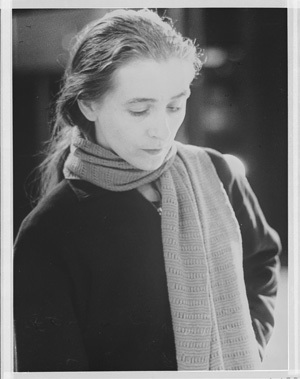 This entry was posted in travel and tagged Pina Bausch, Psychotronic Film Society of Savannah, Savannah, Theatre, Wim Wenders.